Succeeding their debut album, Day 2 Day Soul (2012) – a project both highly praised by independent music critics like The Indie Mine and Nerdy Boi Media and nominated for Album of the Year at the New Orleans Hip Hop Awards – this sophomore offering builds on the natural connection and complementary worldviews Nate “Suave” Cameron and Jonathan “Prospek” Bailey share. While the two currently reside in different parts of the United States, with Suave a recent transplant to The Bay Area and Prospek currently calling Cincinnati home, their ability to weave together seamlessly their creative expression has not been lost. If “Pictures With Words” is any indication, this album will continue a recent but potent legacy of soulful, expressive lyrics, inventive production, and provocative socially-relevant themes. 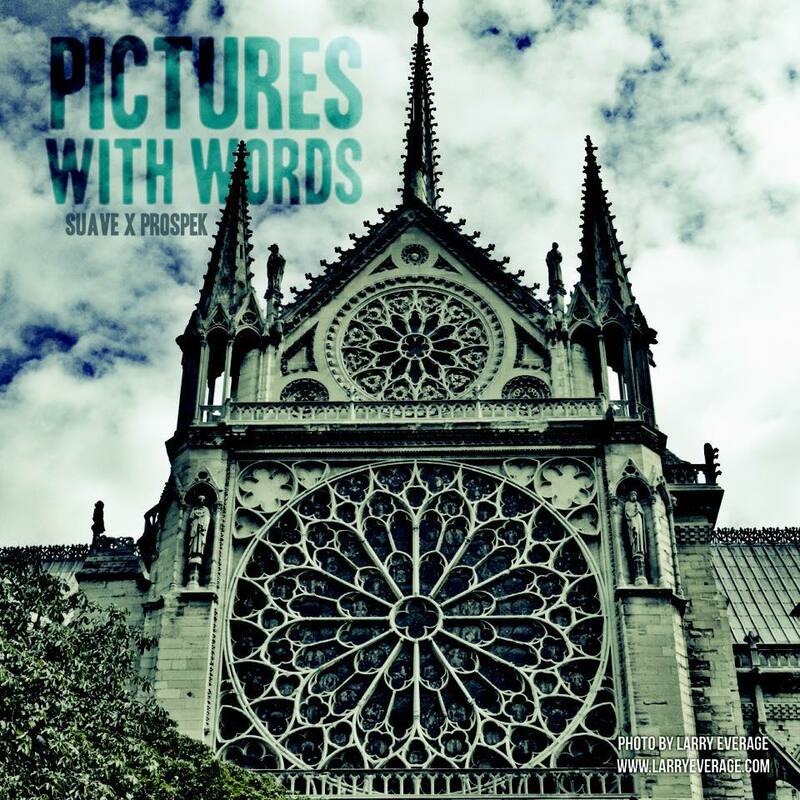 The single artwork for “Pictures with Words” features an image captured by New Orleans-based photographer Larry Everage of the South Rose Window of Notre Dame Cathedral. It was in these chambers that Moorish academics shared with European dignitaries (later the founders of Oxford and Notre Dame of Paris) the knowledge that would eventually influence The Renaissance that brought the Middle Ages to an end. Much like this historic view, Politics of Life & Love is a window into how unseen and often unrecognized forces shape the realities we stake our lives, loves, and identities to. – K.O.C.